The Masters is an invitation only tournament, sponsored by Totally Reward, where the top sixteen ranked players from the WEBSF Gold Series compete in a knock-out tournament to find The Masters champion. For the first time all the top sixteen players from the Gold Series accepted the invitation. This meant that the best of the best would go head-to-head in the best of seven frame knockout snooker. The first round saw no shock results with almost all matches going the way of the seeding and form. The most convincing win of the round came from two-times former champion, Haydon Pinhey from Plymouth. Pinhey made breaks of 52, 64, 91 & 94 in a convincing 4-0 victory over Daniel hall (Swindon). After the match Pinhey jested that he may have peaked too early, as it turned out his next opponent, James Height from Bristol, soon provided the answer when he beat him 4(59)-2(51,68). There were other results with one-sided outcomes; Aidan Murphy (Bristol) over Billy Ginn (Exeter) (4(56)-0); Symons (4(68)-0) against Connor Benzey (Hampshire); James Lee (Torquay) versus Darran Lock (Cornwall) 4-1; Alan Tunney, newly crowned Golds Series champion, 4(63,52)-1 win against Chris Coumbe and Plymothians Steve Brookshaw who despatched Dale Branton, 4(50)-0. The former capitalising on the run of the balls to skew what would normally be a close encounter between these fine players. The remaining two matches in the first round where much closely contested. Andy Neck (Newton Abbot) edged out Michael Hodge (Newport) 4(53)-2(52,63), whilst Height beat Jason Whittaker (Torquay) 4-3. Both matches calling on the players matchplay skills, experience and tenacity. Whilst the eight winners progressed to the quarter finals the remaining losers qualified for the Plate. Coumbe ended a ‘bad day at the office’ with a second heavy defeat, this time at the hands of Hodge. Coumbe making a consolation 52 break and Hodge 54 & 69. In the other matches; Whittaker’s experience kept Hall at bay to help him fashion a 4-2 win; Branton found his form against Benzey, posting breaks of 69 & 86, on the way to a 4-2 win. The latter 86 break ended with a foul shot, due to a lapse of concentration or maybe a moment of madness when Branton potted two reds in secession with a big break at his mercy. This eventually took the best Plate break prize. To complete the Plate first round, Lock (50 break) beat Ginn 4-2. In the semi’s Hodge beat Lock 4-1 whilst Branton beat Whittaker in a close 4-3 tussle. The final saw Branton’s stamina tested to the full with a second successive seven frame match. Despite a fine 69 break from Hodge, Branton ran out a worthy 4-3 winner. Back to the main event and only two of the top seeds where missing from the quarter finals. Tunney and Neck fought out a close encounter, Neck eventually winning the deciding frame 4(56)-3. Lee ended Murphy’s run 4(70)-2. However, Murphy set a record for the youngest player, at fourteen years and ten months, to reach a Masters quarter final. Unfortunately for Brookshaw, Symons was cueing surprisingly well, considering the lack of practice he’d had leading up to the tournament and won their match 4(68)-1. After a short break the semi-finals got underway with Neck against Lee and Symons against Height. The first player to report back to the tournament director’s desk was Symons who was pushed hard by Height, final score being 4-3(63) to Symons. In the other semi-final Lee had it all to do when Neck fashioned a 3-0 lead to need just one more frame for a place in the final. Lee had other ideas and clawed his way back to level at 3-3, aided by a 66 break, only for Neck to gather himself and regain control to win 4-3. The final was tense but of a high standard. Symons opened with a 67 break to win frame one. Neck fought back to level at one all. Symons then took the next two aided by a 60 break to open up a 3-1 lead needing one frame for victory. Neck won the next frame to put pressure on Symons. The sixth frame went to a re-spotted black and after a couple of safety exchanges Symons took on a very difficult pot down the cushion, into the top right corner pocket. If it went in, he would lift the title. It did go in. However, he could not believe his eyes as the cue ball traversed across the table twice before entering the same pocket gifting the frame to Neck and take the match to a final frame shoot-out. After being so close Symons’ game could easily have fallen apart and Neck, given a reprieve, must have felt relieved to still be in the game. After a tense final frame Symons held it together to run out a worthy winner. After an early exit, Pinhey’s 94 break in his opening match stood as the best break in the main event and took the prize. 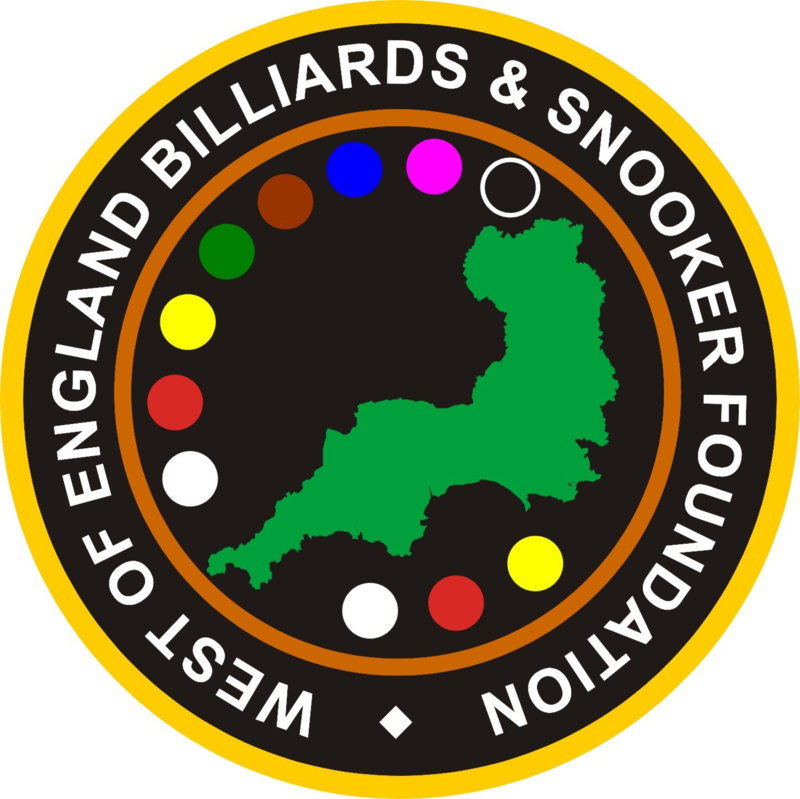 Anyone interested in any of the WEBSF activities or are interested in participating as a volunteer should contact Steve Canniford should contact Steve Canniford, Mobile 07891940995 or visit www.websfsnooker.com or WEBSF Facebook.